It has been a wet summer so far in Georgia. Which makes it difficult to have some BBQ on demand. 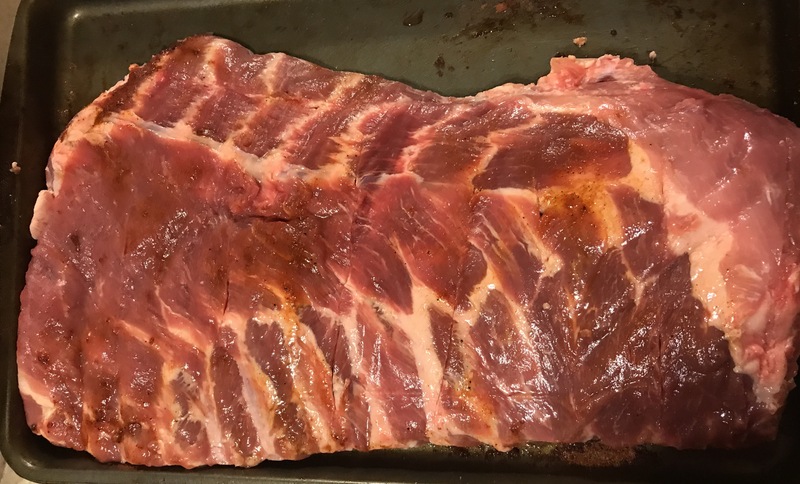 Although I am not complaining and would much rather have some smoked ribs, this is a great alternative when you have to cook indoors. After many racks and even happier faces, I think I have a winner. 2. 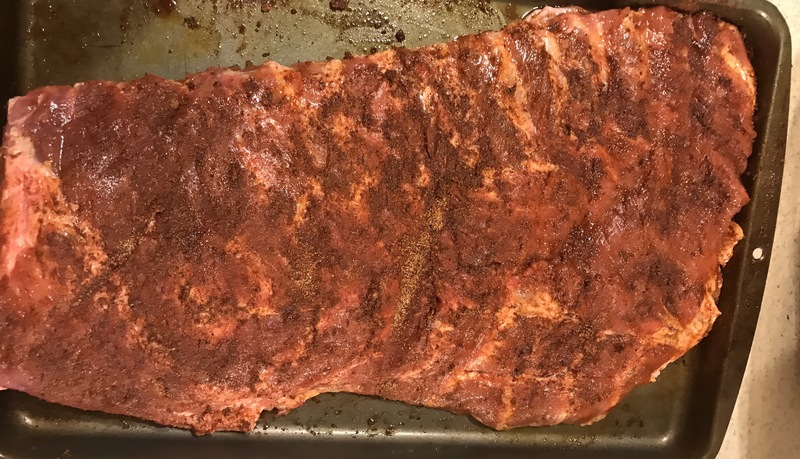 Put oil on the ribs and rub all over. 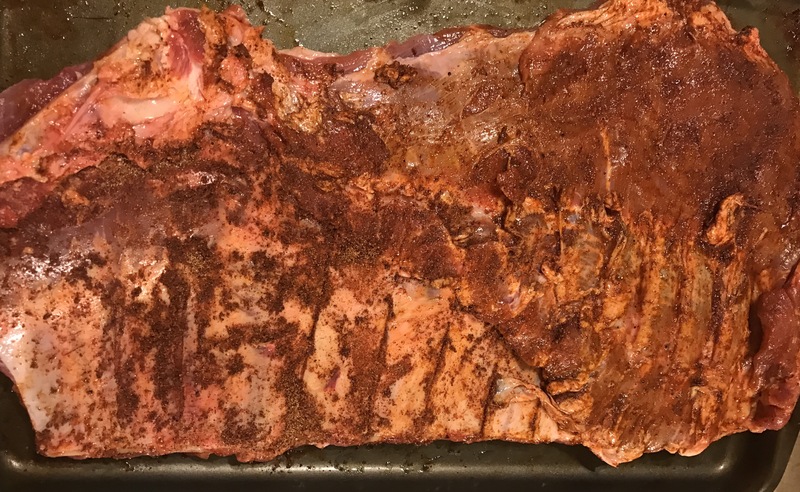 Then pat on dry rub. 3. Let sit for at least one hour or over night in a large plastic container . 4. 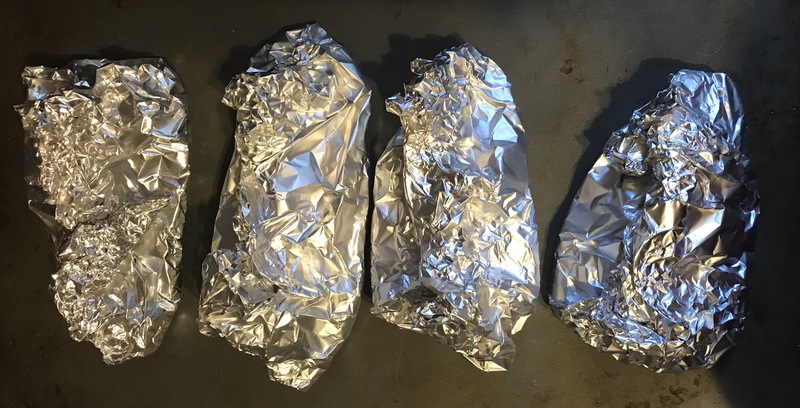 Cover with aluminum foil and cook in the oven for 3 hours on 300 degrees F. Rotate rack after each hour. Do NOT flip. Take off cover for the last 1/2 hour . 5. 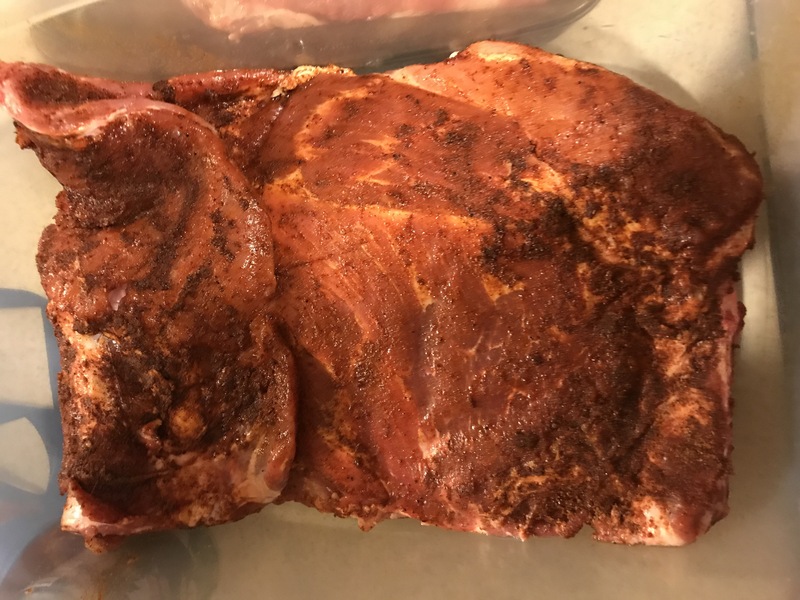 Let rest for 10 minutes before cutting. Add BBQ sauce on side for dipping eat as is. I am going to be completely honest, I HATE SALMON. I know it’s healthy, high in omega-3s, better than red meat in your diet, etc. I am like a lot of people who think Salmon is very fishy. Turns out if it tastes that strong then it probably isn’t real fresh however…. I just didn’t like it. My husband is the one who wanted to eat more salmon. It is an expensive fish, especially if you buy it fresh and wild caught is the best type to get. 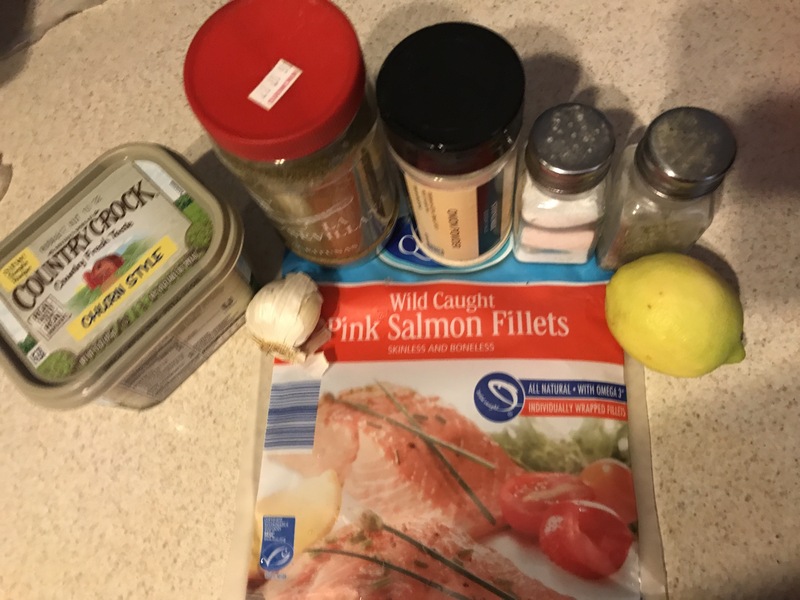 Now being on a budget, we got 16 oz Wild Caught Pink Salmon bags at Aldi for $ 3.99 on sale. 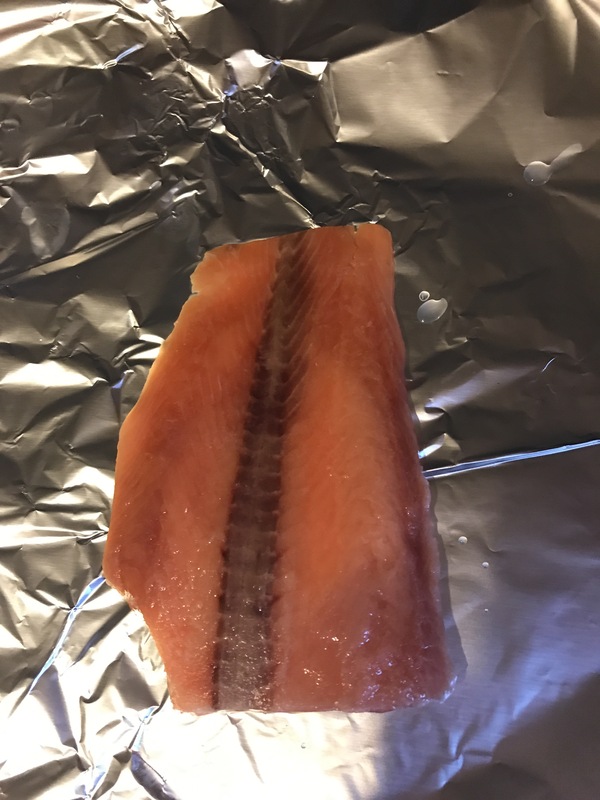 It contained 4 portioned cuts of fish. 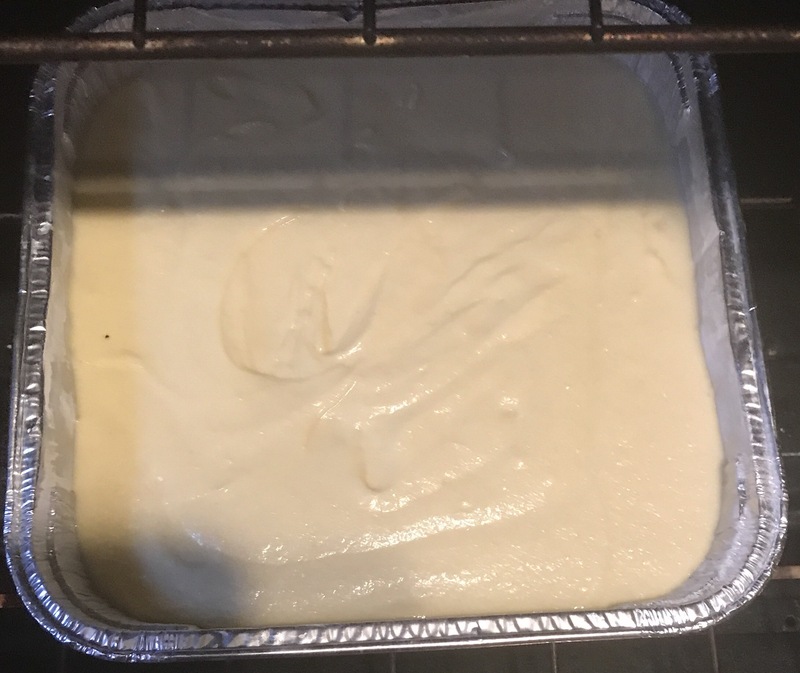 It worked well to go from frozen to finished in less than 25 minutes. Of course you can use fresh totally up to you. 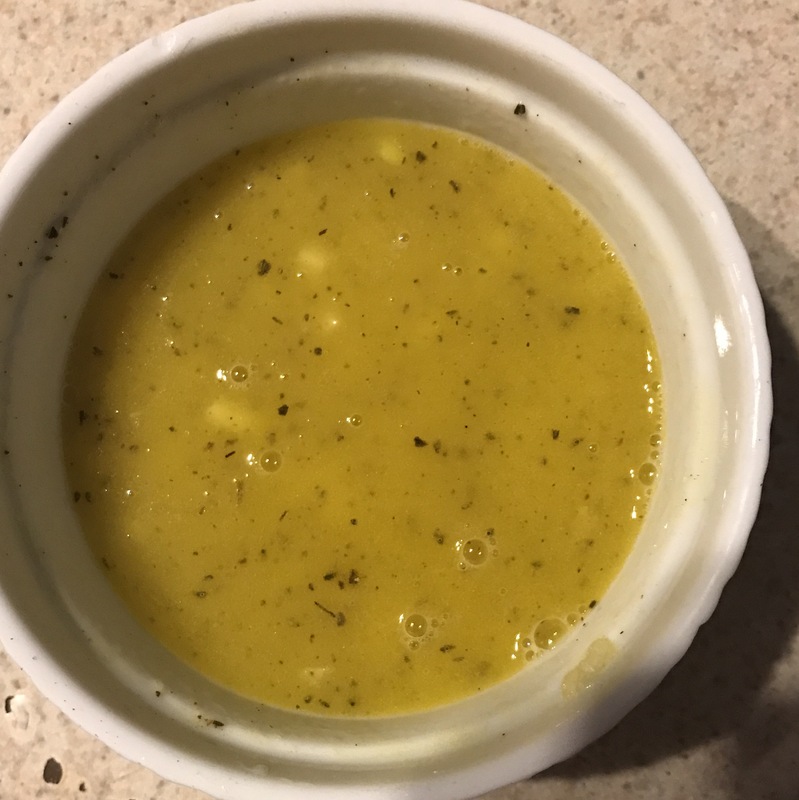 This recipe is a keeper since it made change my mind ( and taste buds) of something I hated eating. Maybe it will change your mind too. 1. Mix the melted spread, minced garlic, lemon juice, Oregano, black pepper, salt, and onion powder. Mix well. 2. Season the salmon with salt and pepper to taste. 3. 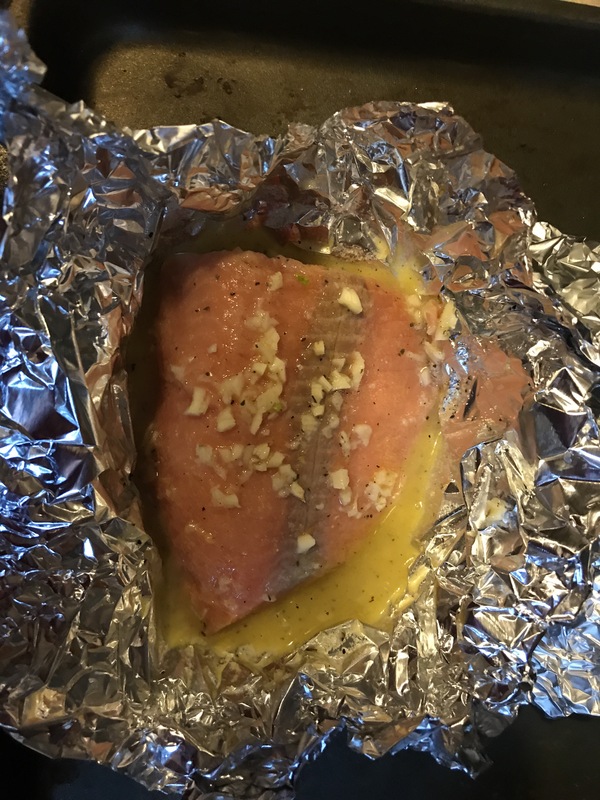 Add the garlic lemon butter mix to the Salmon. 4. Wrap individually and add to oven at 375 degrees F for 20-25 minutes. 5. 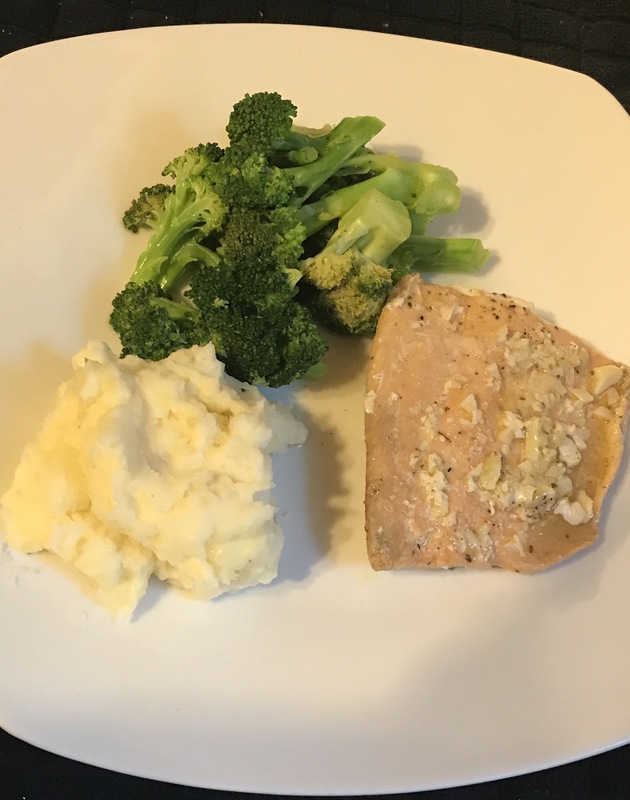 Serve with mash potatoes and broccoli. Add some of the juice garlic lemon butter. Delish! Lunch will definitely be leftovers. Admittedly we haven’t been really in our healthy food kick. However, you can still make food a little healthier just in the way you prepare it. 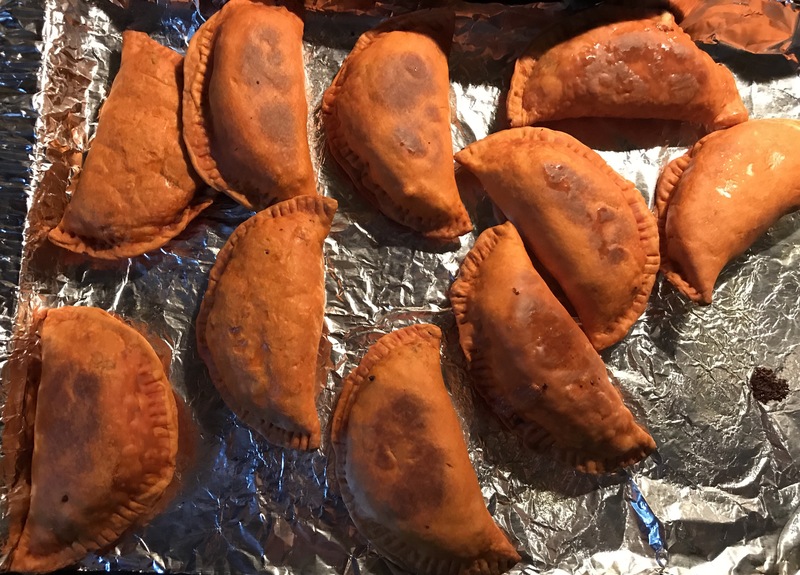 Now pastelillos are a staple in any Puerto Rican home. I am mixed (Peruvian and Puerto Rican) however, I really wasn’t taught a lot of Peruvian cuisine. 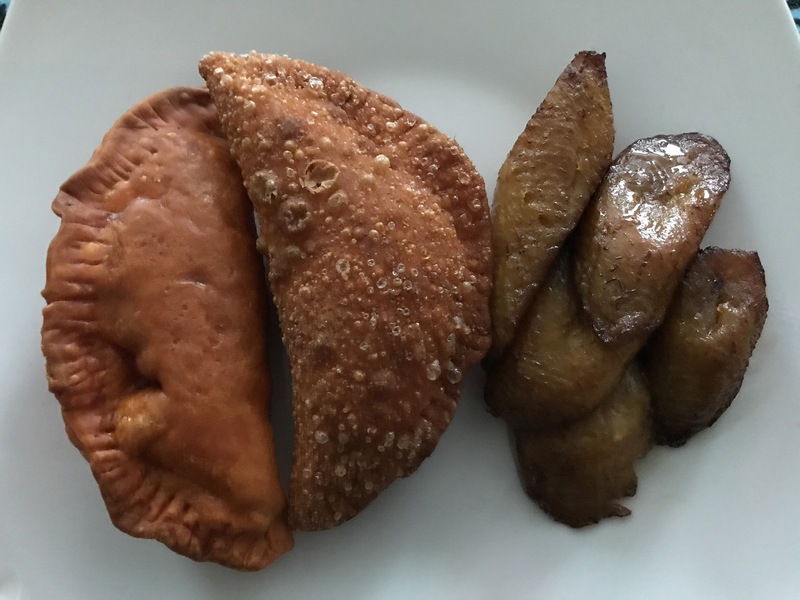 Ask me about pernil, arcapurias or arroz con gandules…. I’m your girl ! They really are not hard to make at all and the varieties are endless. Take out the discos and let sit for 10-20 minutes depending how frozen they are. And preheat oven to 350 degrees f and/ or fryer on medium high. 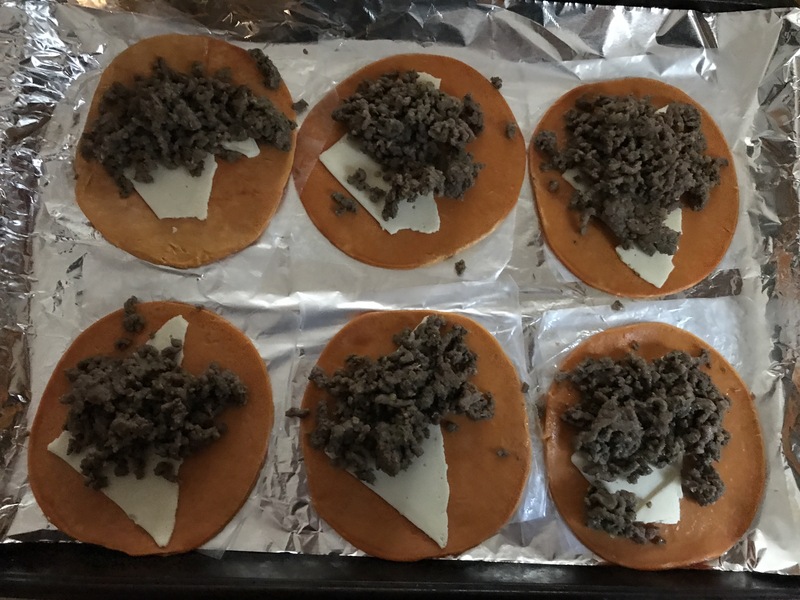 Spread out cookie sheet and add a slice of cheese or shredded cheese. 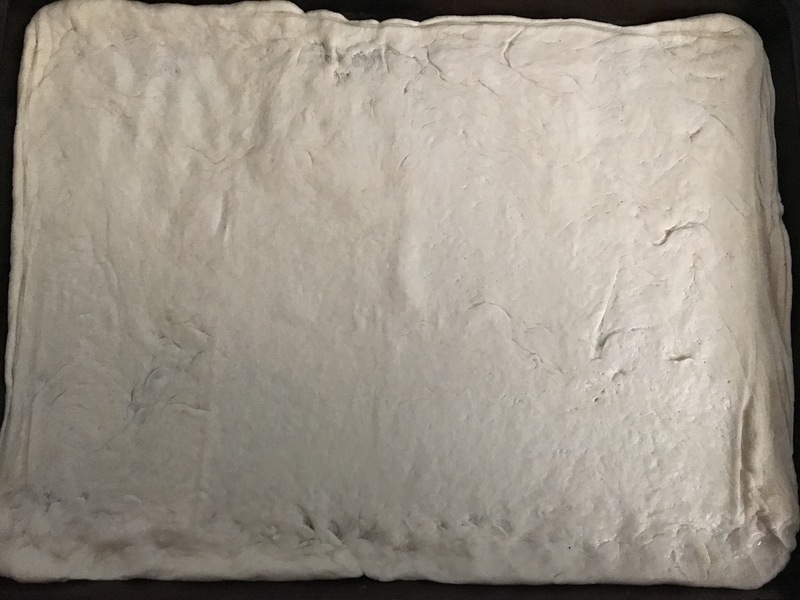 Fold and pinch ends then lay to use fork to press in sides to finish sealing them. 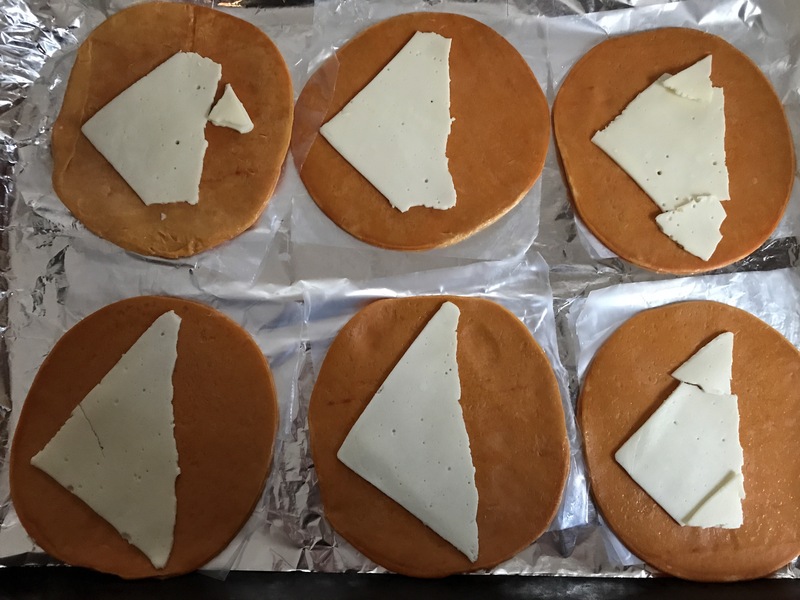 Lay the ones going in the oven evenly. 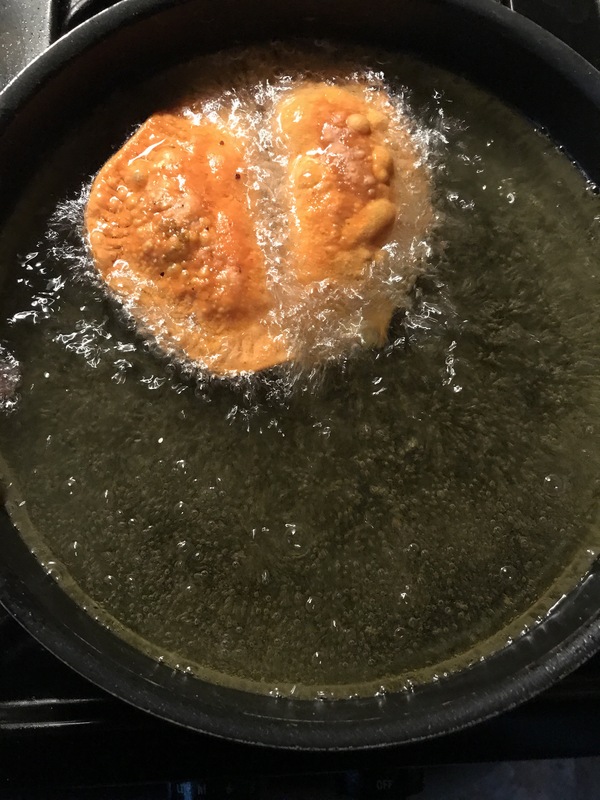 For fried pastelillos, heat oil to medium high. Once heated add no more than 2 at a time. Wait 1 minute and flip over and cook another minute. Remove from oil and place on plate with a paper towel. 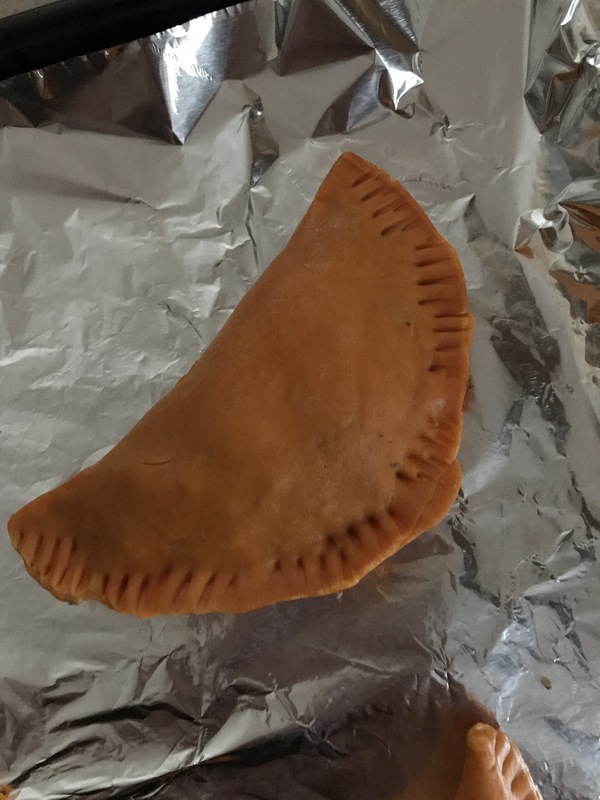 The baked pastelillos were not greasy at all they had a good crunch and the flavor was awesome. 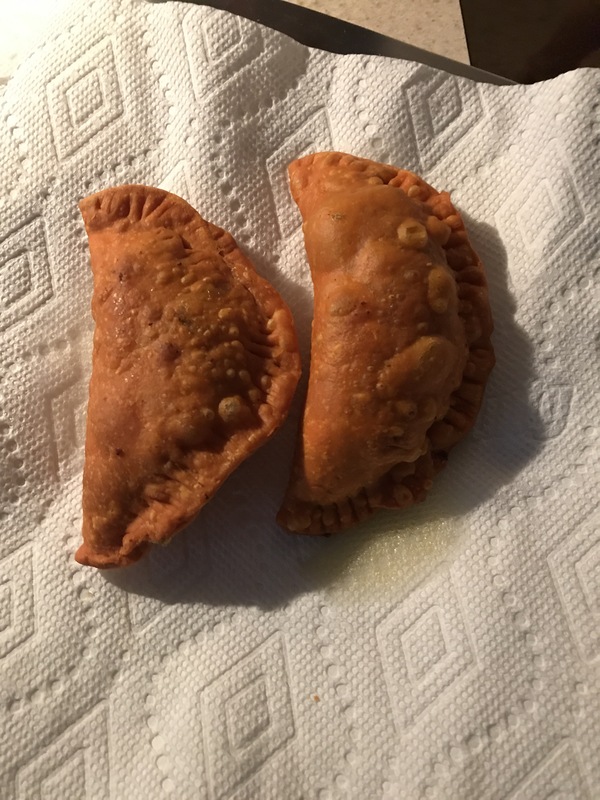 The fried pastelillos cooked a lot quicker and did not retain much oil. 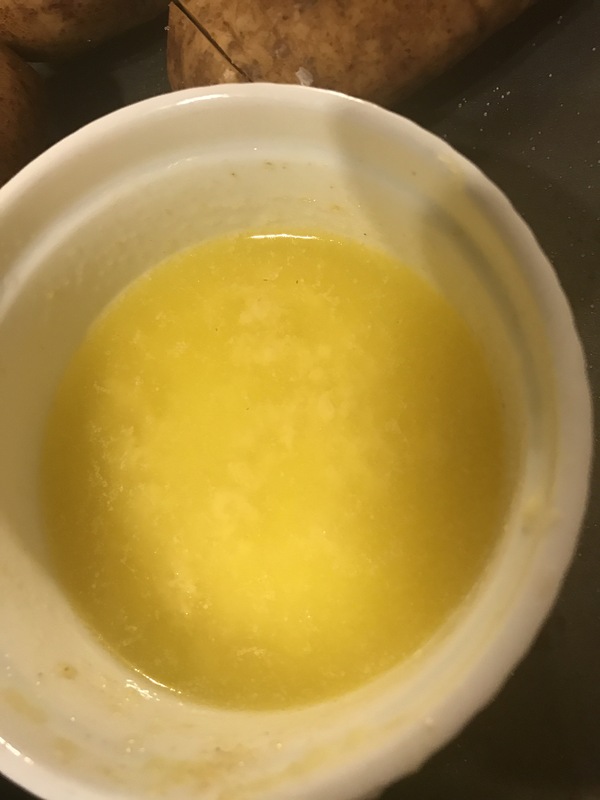 When you use the oil nice and hot it will not sop up a lot of oil. Either way you make it, it is yummy. Use it for an appetizer or (like us) a meal. You can stuff these discos with seafood, chicken, guava, just about anything. Just a few ingredients and you have a feast. When we moved from New Jersey, we left behind some good food. 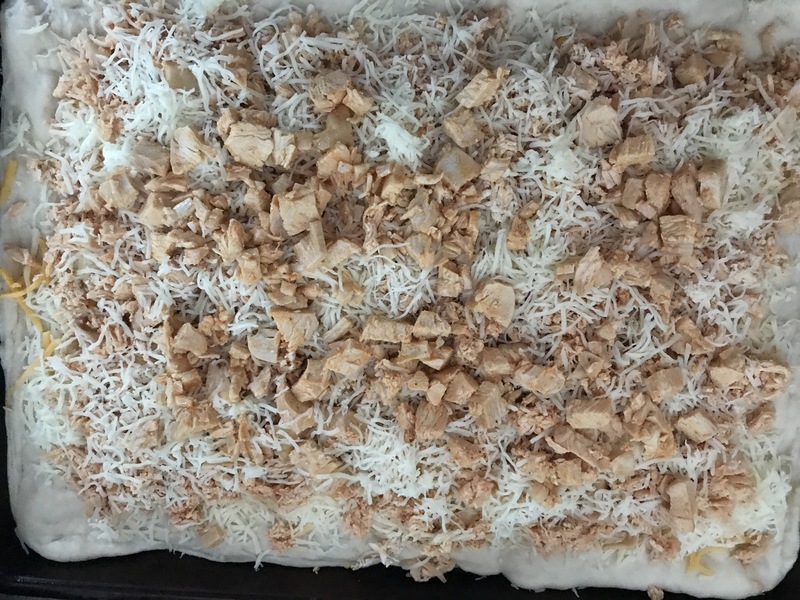 We would frequent some of the local pizza shops and get large pizzas with the perfect crust and toppings …. fast forward 2 years later in Georgia in our town, QT and Little Cesar’s often where we fill the pizza void. That is until I started making it myself. Making pizza is not hard. It takes good tools, seasoning and time. The more you make it the more you master it . 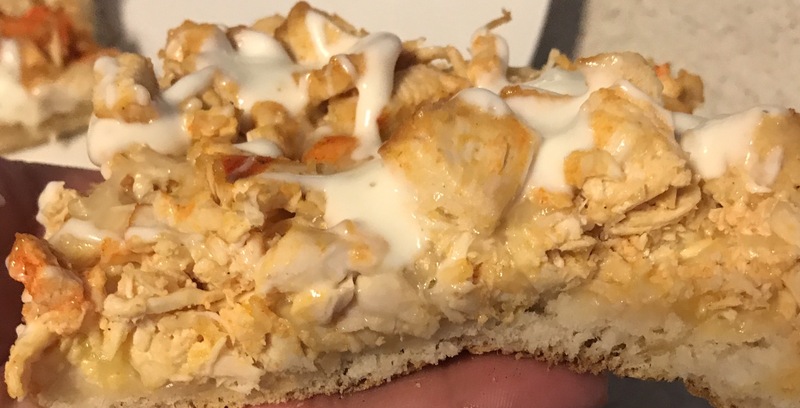 Buffalo Chicken Pizza is one of our favorites. This is how I make mine. 1. 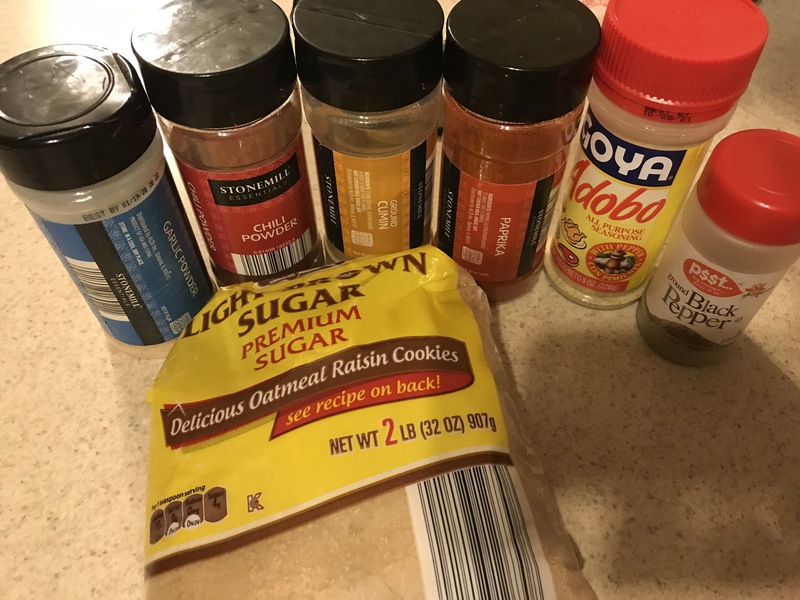 In a bowl, season the chicken breast with the garlic powder, Adobo and pepper. Add a little oil when seasoning it will help keep the chicken moist. Place in pan and bake in the oven at 350 degrees for 20-30 minutes. Let sit on the counter for ten minutes before proceeding to next step. 2. While chicken is sitting, raise the temperature of the oven to 425 degrees. 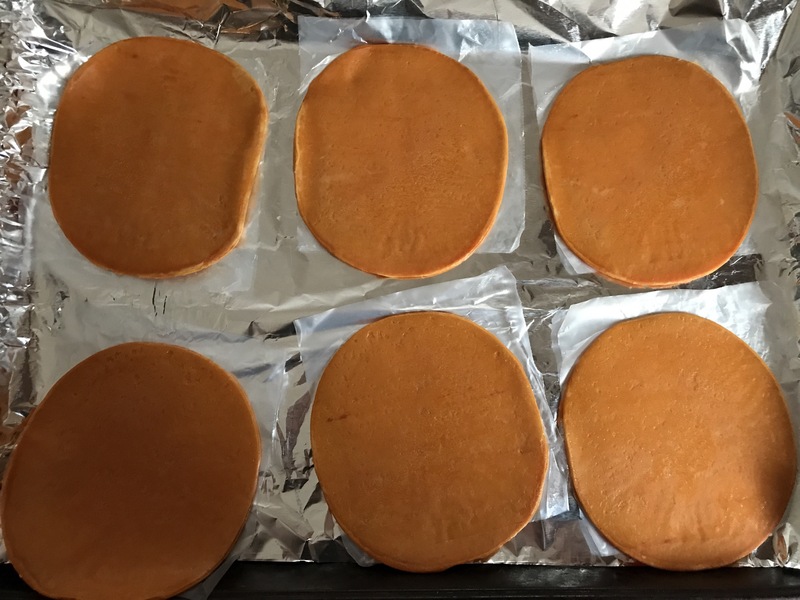 Next, spread the dough out on the greased cookie sheet. 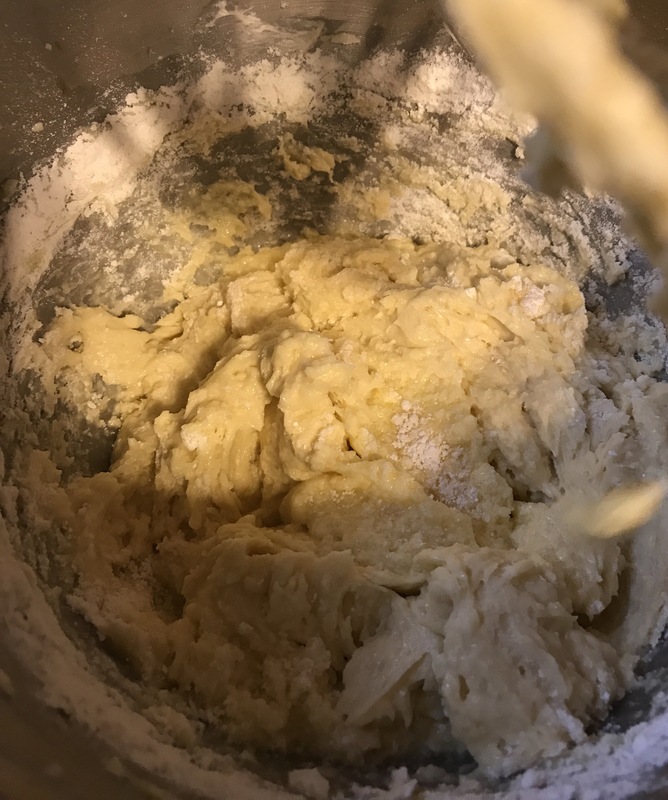 It is better to spread by hand but you can use a rolling pin to spread but let the dough rest again for a few minutes to rise again. No need to be perfect. 3. 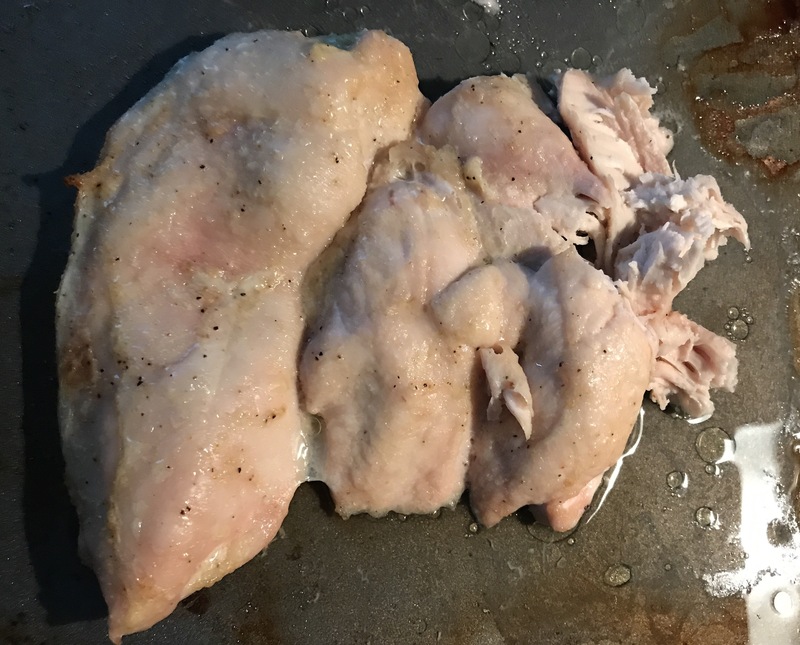 You can shred the chicken by hand, cut it with a knife or use your kitchen aide * my favorite way *. Add chicken to your kitchen aide using the paddle attachment. And put the chicken in and put speed on low slowly increasing to medium until shredded to your liking. This will take a few minutes. 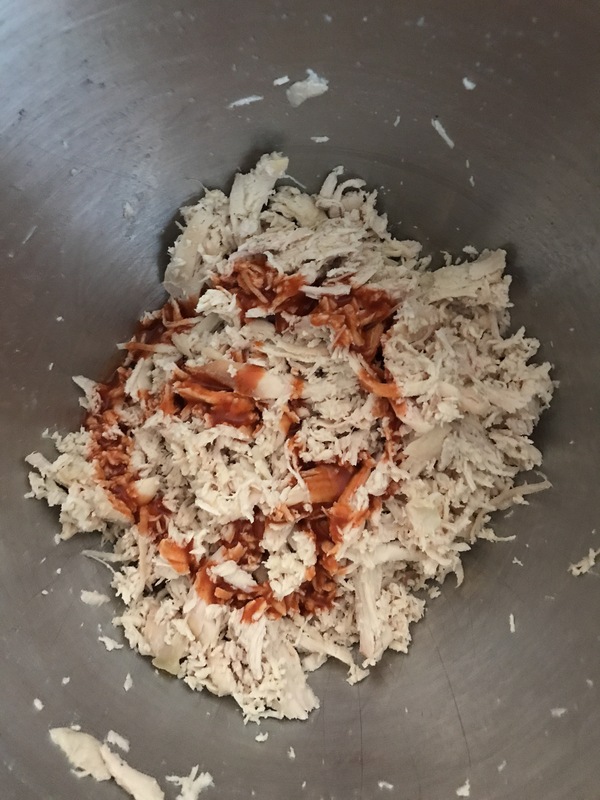 Add 1/2 cup to a full cup of the buffalo wing sauce and stir the shredded chicken in the kitchen aide. 4. 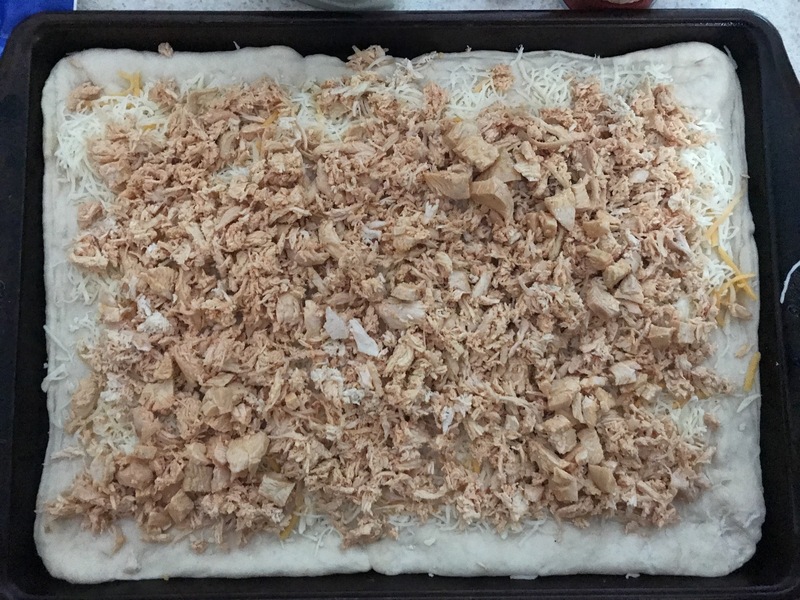 Add the chicken to the rested dough evenly. 5. Add the mix of cheeses over the chicken. Add as much or as little as you want. I had some more chicken so I added more . 6. 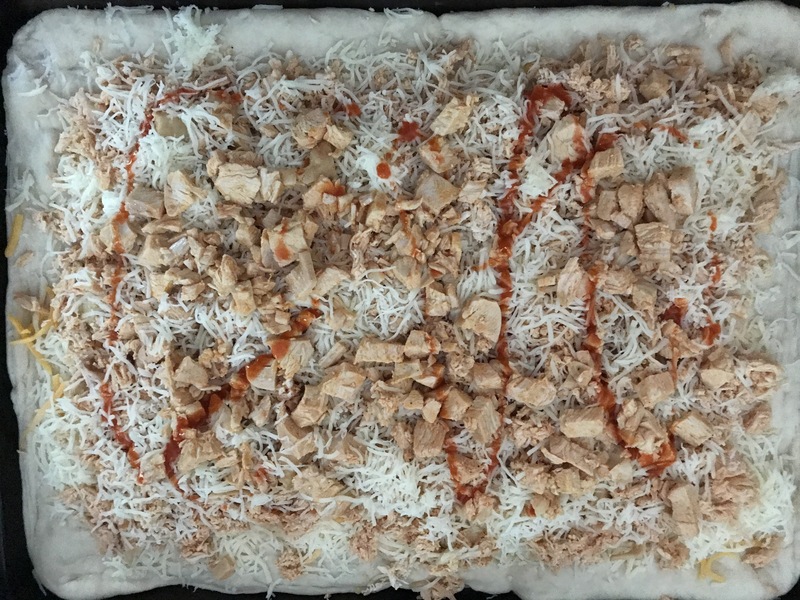 Drizzle some more buffalo wing sauce all over pizza. 7. 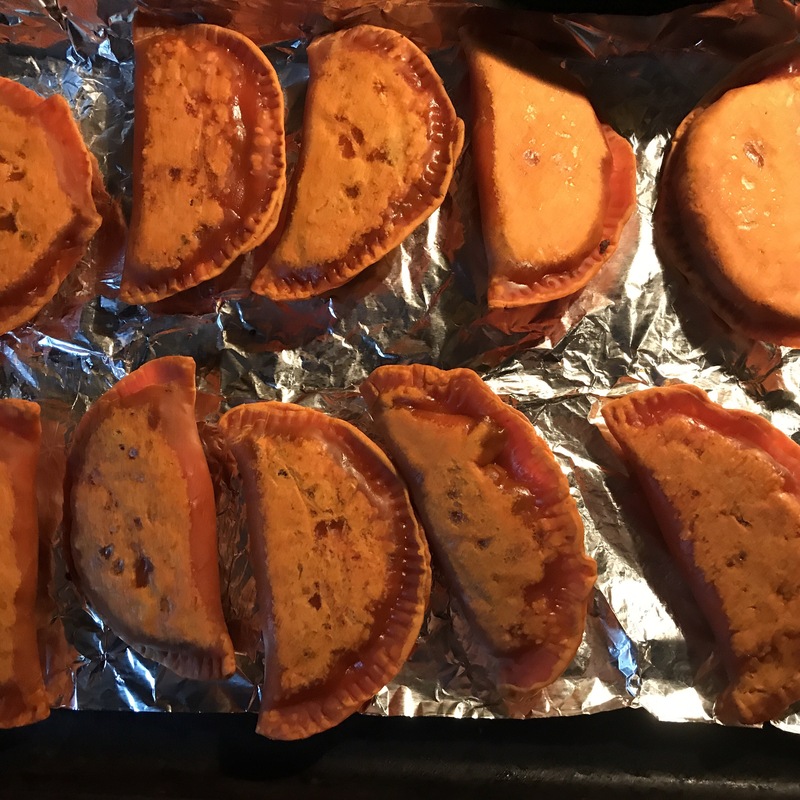 Place in oven for 15-20 minutes or until the sides and underneath are golden brown. 8. 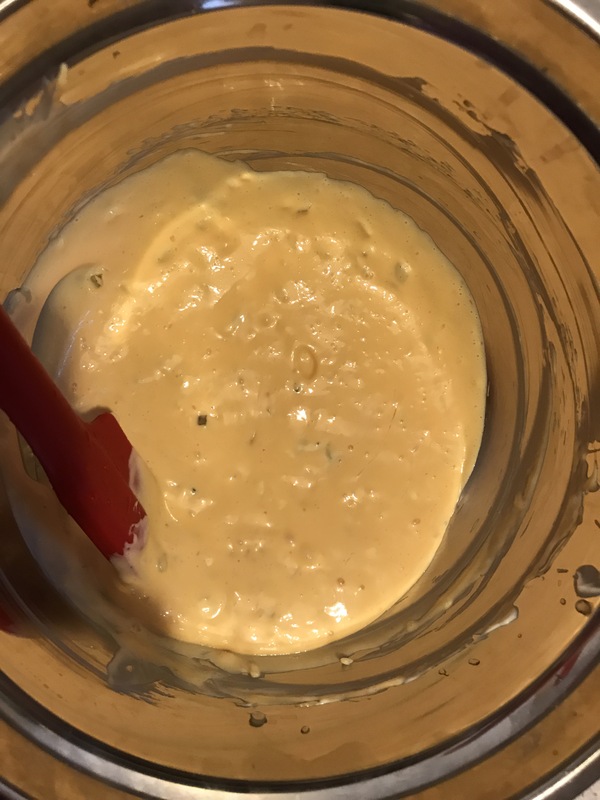 Drizzle blue cheese dressing over the pizza or place in side for Dipping. 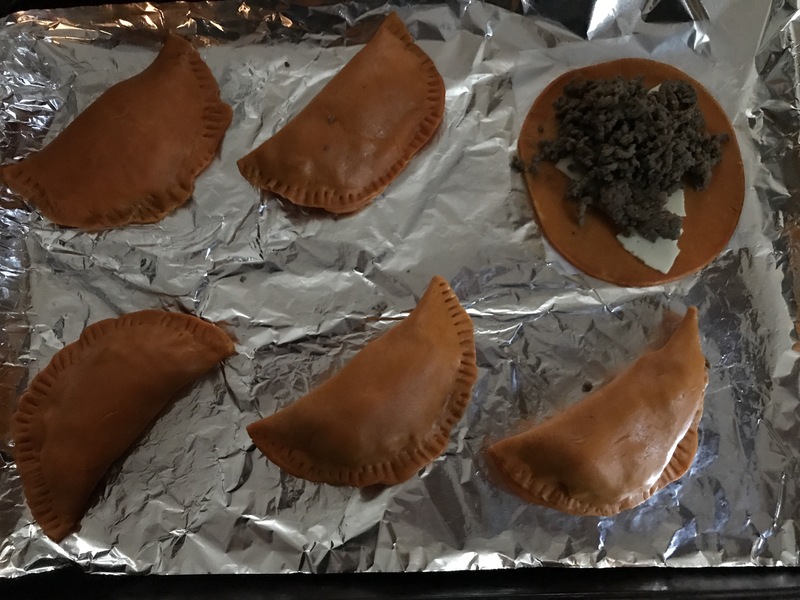 Very easy and so tasty ! Kids can have fun making this or pepperoni or cheese pizza ! 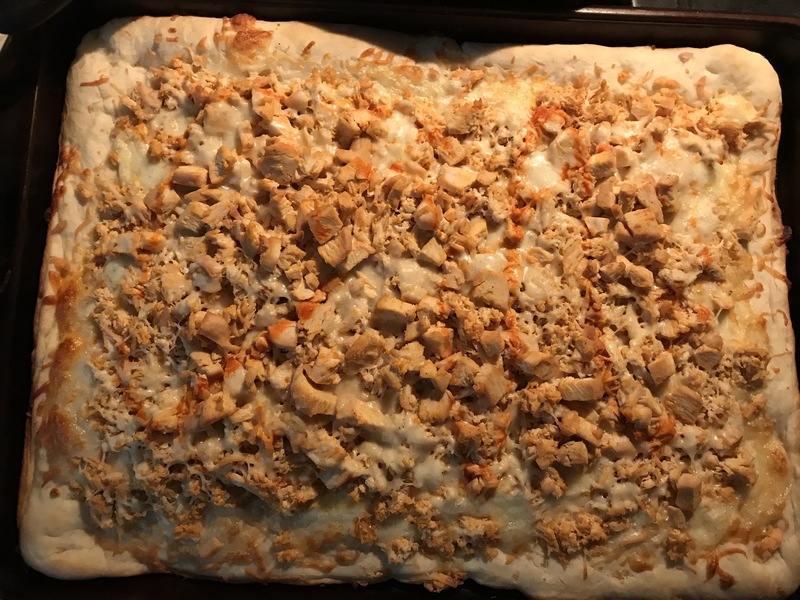 This is a great pizza recipe to have handy for game night or football food etc. No need for fast food today ! 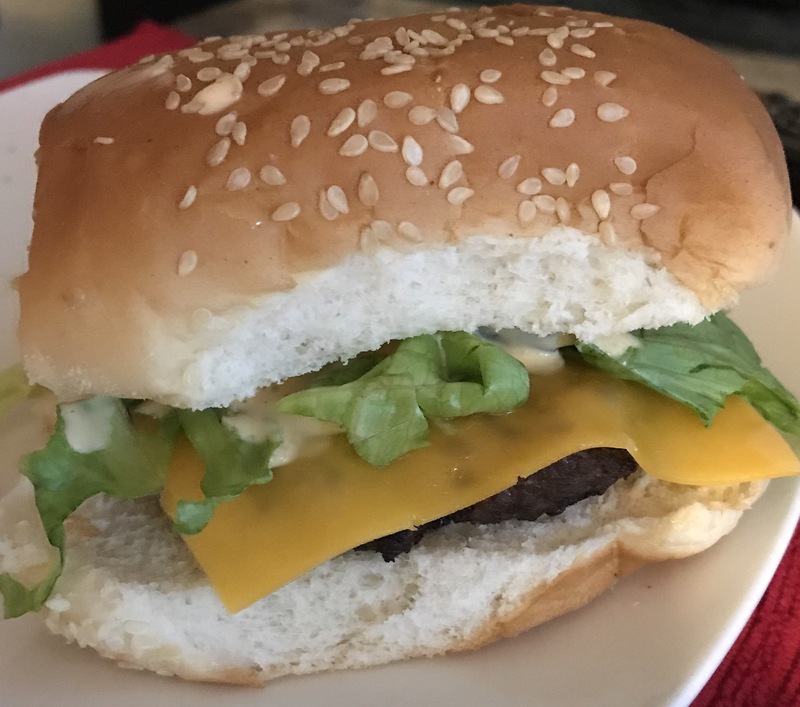 Having an almost completely made from scratch burger is not as hard as you may think. 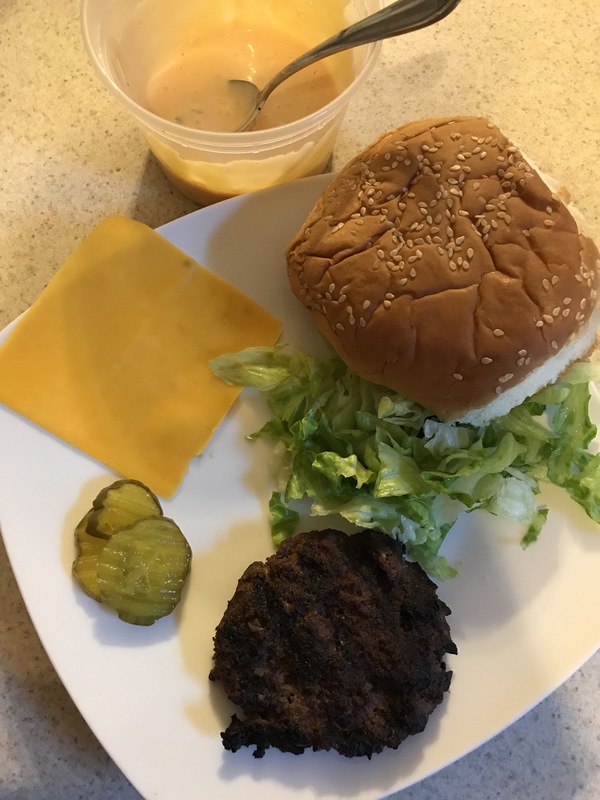 These are all ingredients you have on hand and the burgers freeze well so you can prep for another time. This made at home version will definitely be a keeper. 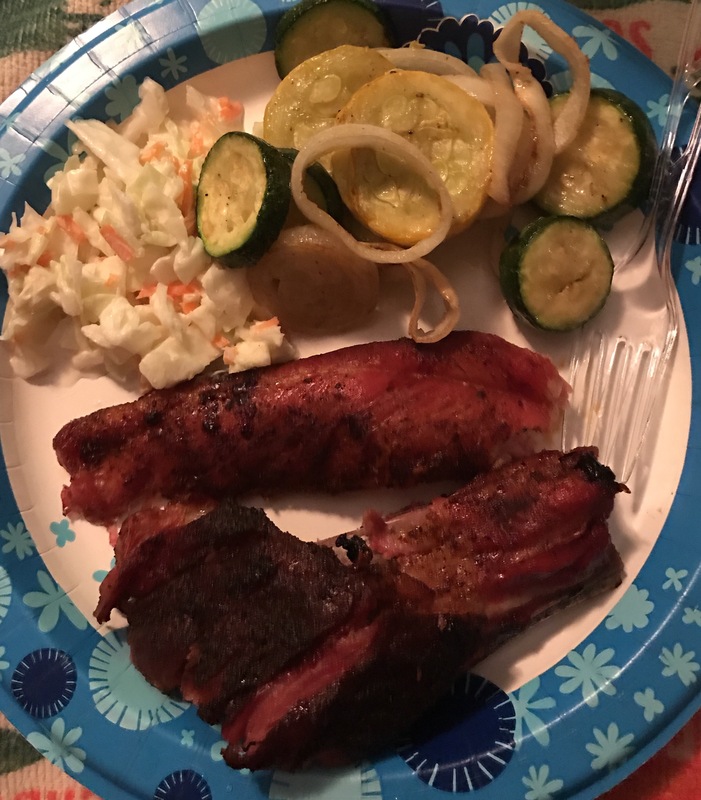 The hubby was feeling good so he grilled for us which made it even better. 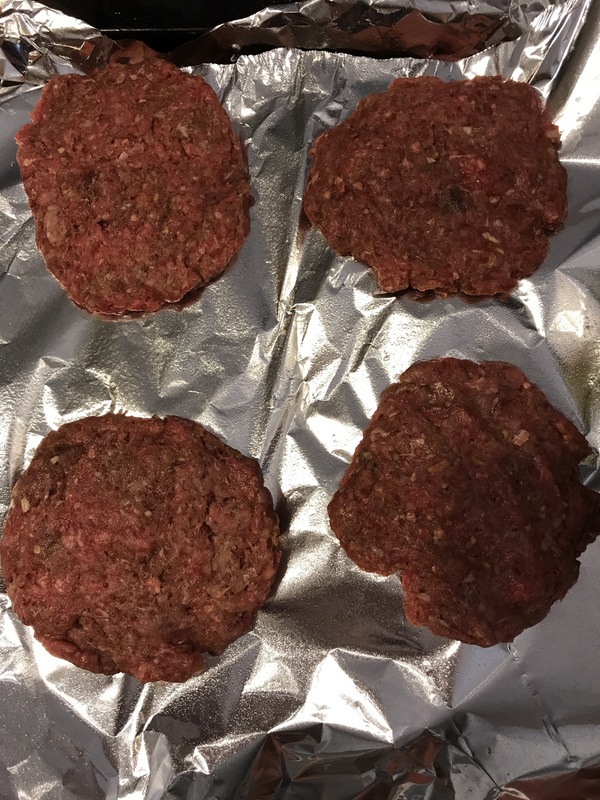 I totally recommend using the grill for burgers but if you don’t have it handy ( or don’t want to) I would use the oven with a baking rack or a George Forman grill ( be careful not to over cook on the George Forman because it will dry out the burger ). 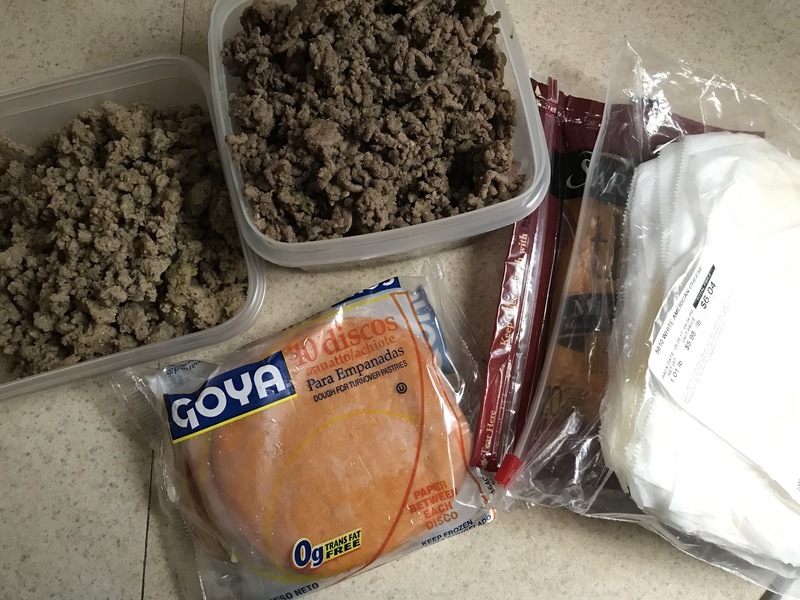 Add ground beef into a large bowl and spread it out. This is so when you pour rest of the ingredients it blends out better. 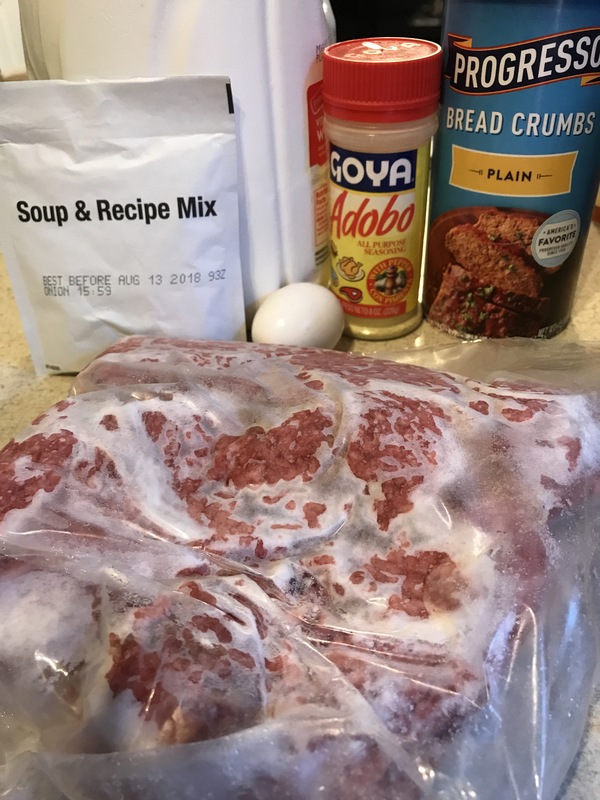 Add onion soup mix and adobo. 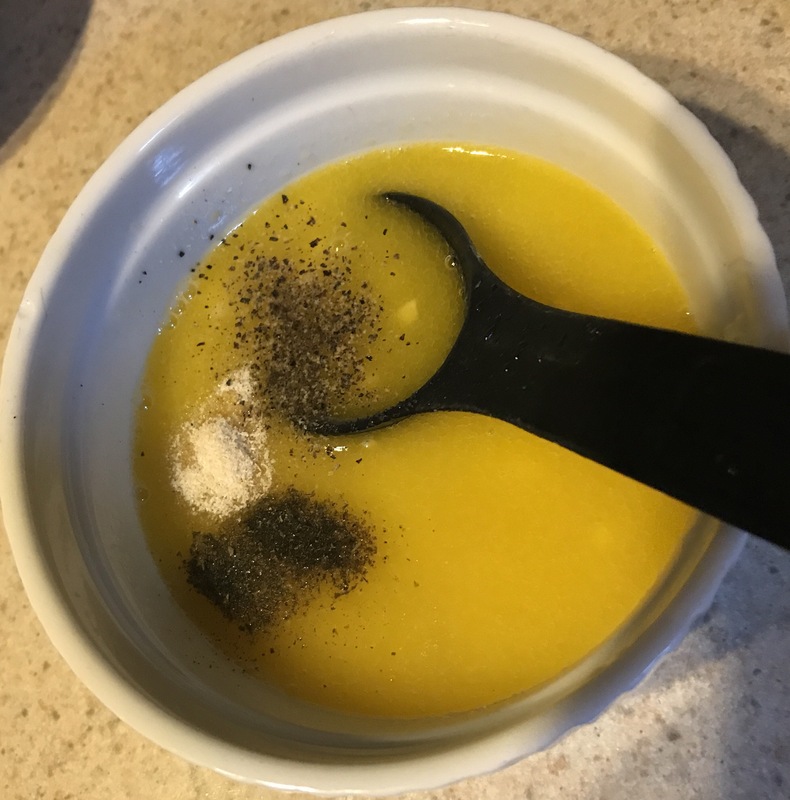 Mix the egg and milk together and pour over the adobo and soup mix. Then add the bread crumbs and mix. Mix until incorporated do not over mix it can make the burger tough. 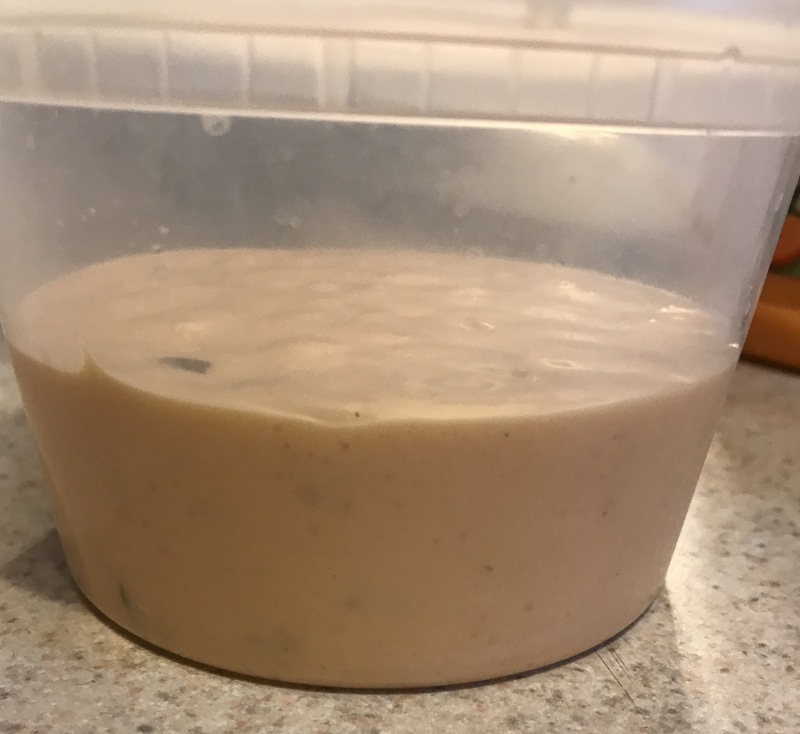 Put in the fridge to cool down for 1/2 hr or put in the freezer for like five minutes. This will help the flavors develop. 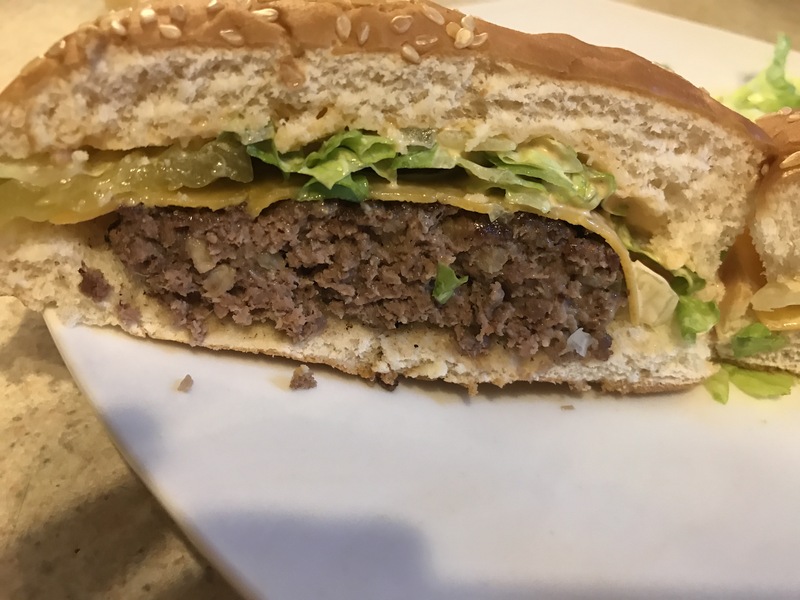 Use one seasame seed bun, spread a generous helping of sauce on the lid. Top the burger and dig in ! This is a keeper . I have made it twice in a week. The sauce it pretty much dead on for Big Mac sauce. No more lines, no more paying extra for Big Mac sauce …. 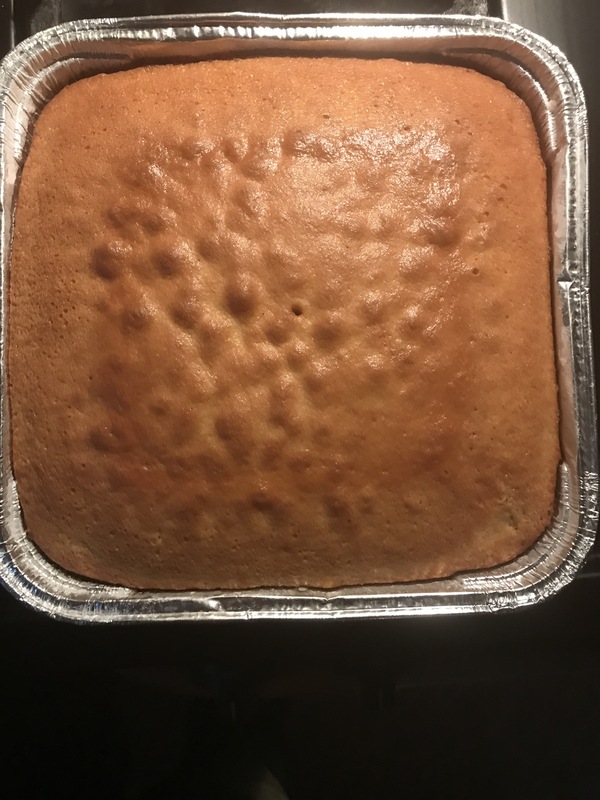 just homemade yummy goodness …. 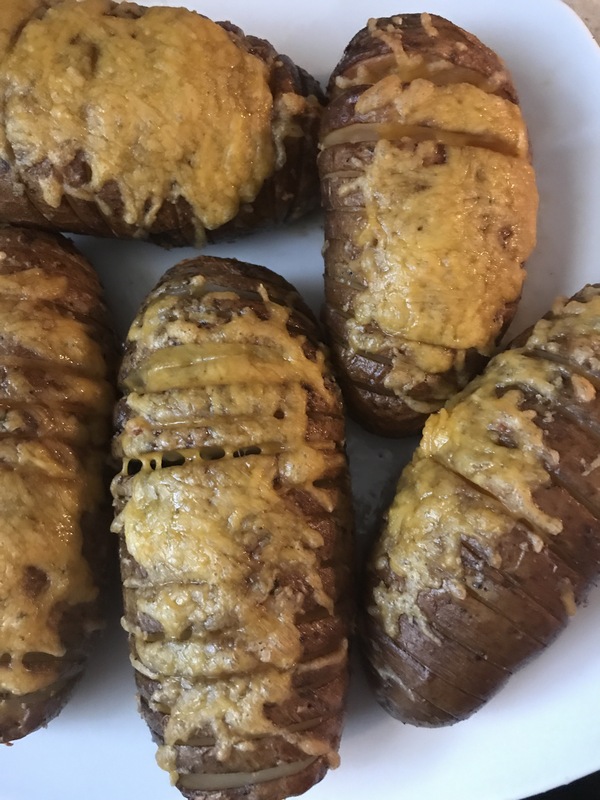 In the interest of spicing things up for dinner, I saw a video from Tricia Yearwood that peeked my interest for Hasselback Potatoes. As I researched this recipe it seems that everyone has a different way of making them. 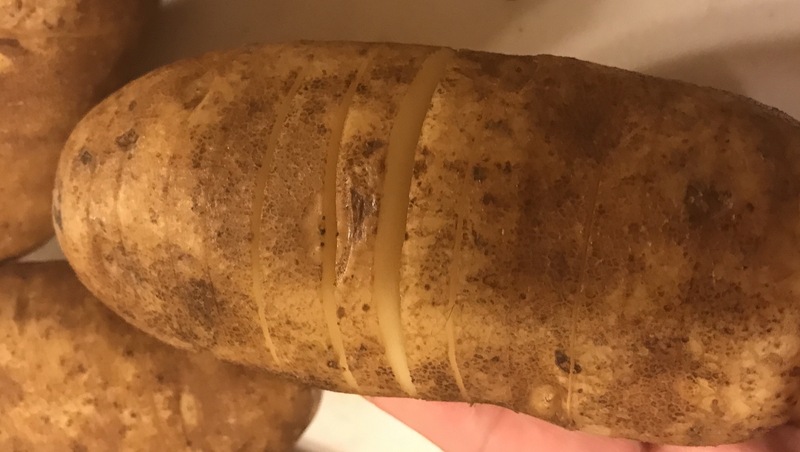 The important part of making these potatoes slicing them without cutting all the way through them. 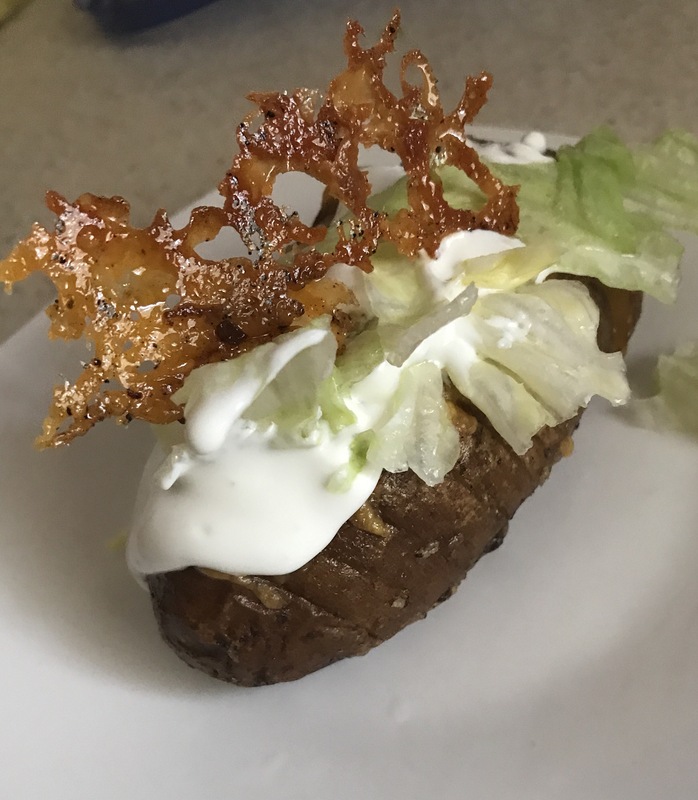 This makes for a crispier potato. 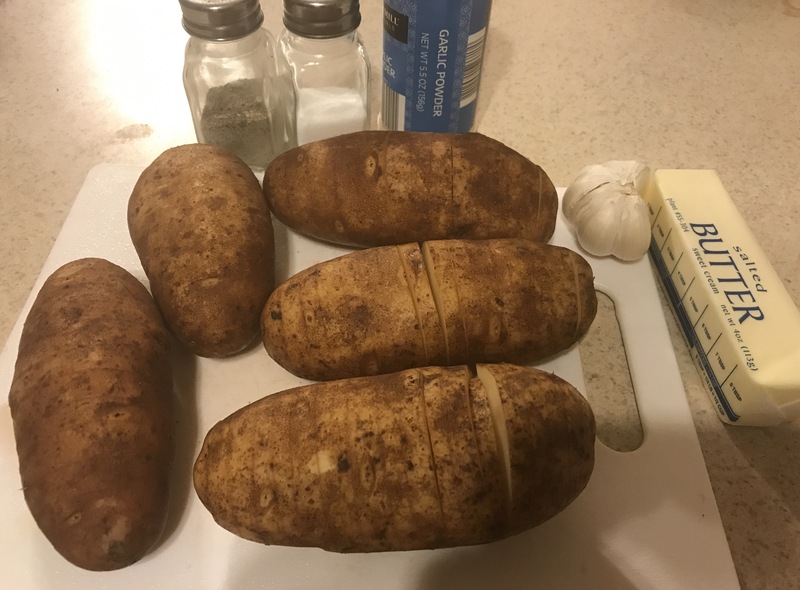 If you research this further these type of potatoes are a Swedish style side dish. This has so many possibility …. 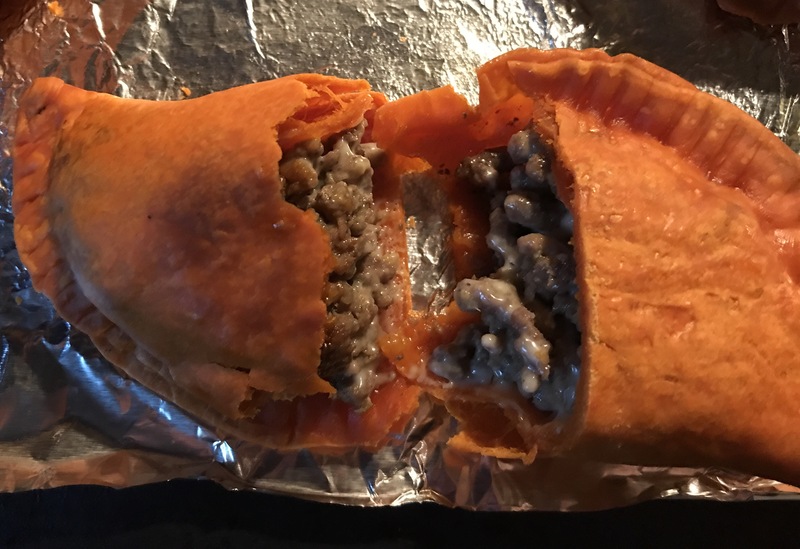 I can imagine making like a “piggy potato” loaded with meat and cheese …… ( stay tuned). 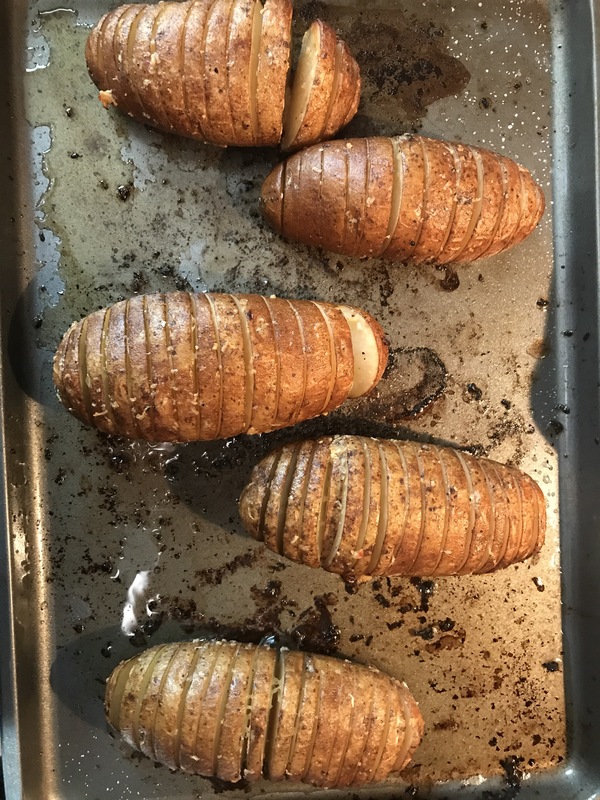 After reviewing a few recipes ( and what I had in hand) this is my version of Hasselback Potatoes. Slice as many slices as you want into then potatoes but do no cut through all the way. 3. 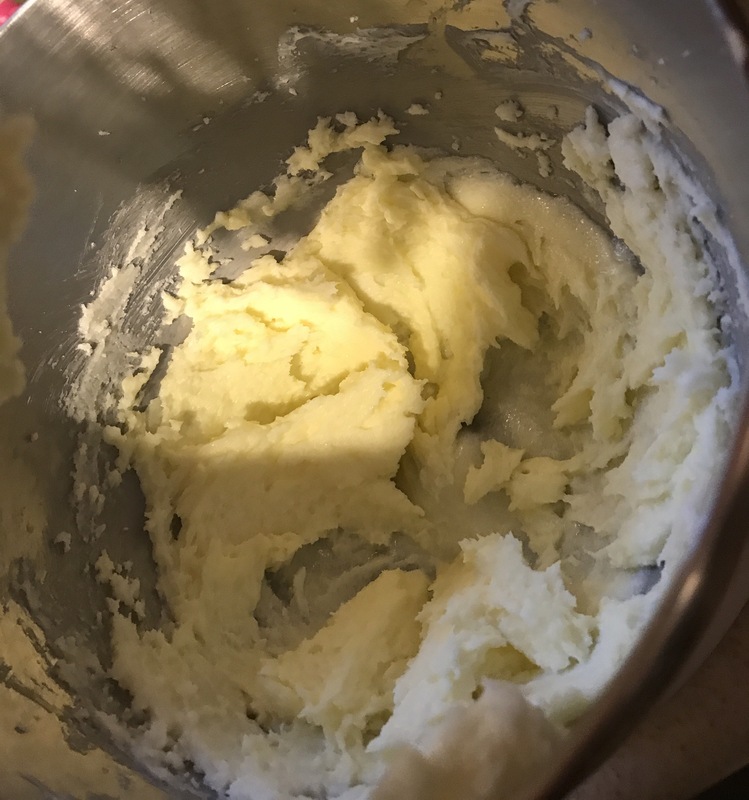 Melt 1/2 stick of butter and the grate or use the garlic press to add the garlic to it and add 1/2 tsp of garlic powder. 4. 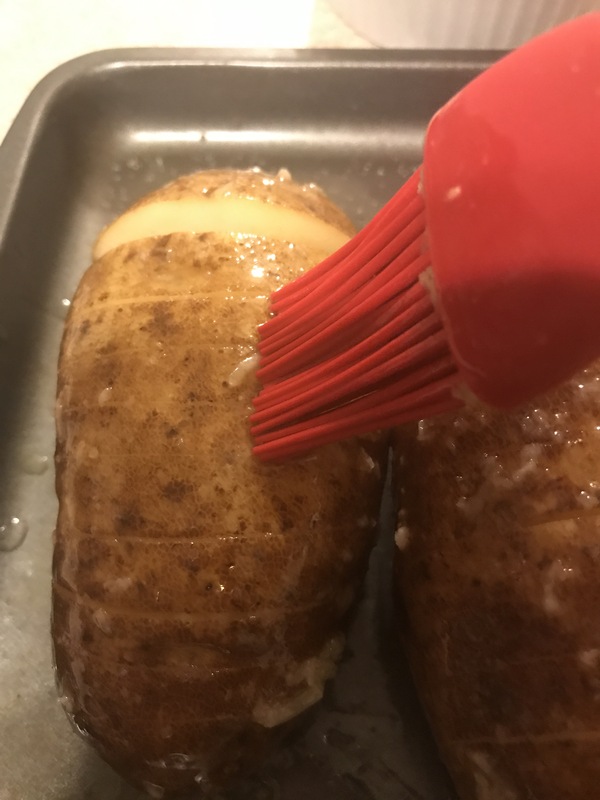 Add salt and pepper to taste into the potatoes and then use a brush to add the garlic butter to the potatoes. Make sure you open slices parts and add the mixture and salt to it. 5. Bake in the oven 400 degrees for 30 minutes. Take out the oven and cost again with the garlic butter. They start to open up like an accordion. 6. Put back in the oven for another 20-30 minutes. 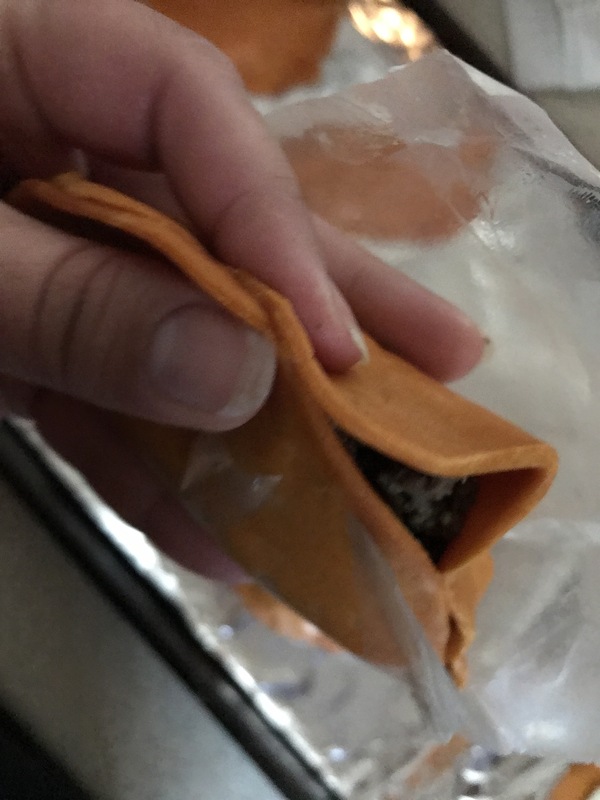 Take out add cheese and place for another 10 minutes. 7. Add your fixin’s and chow down. There are other recipes that have you use a mix of olive oil and butter with a higher cooking temp to make it crispier. 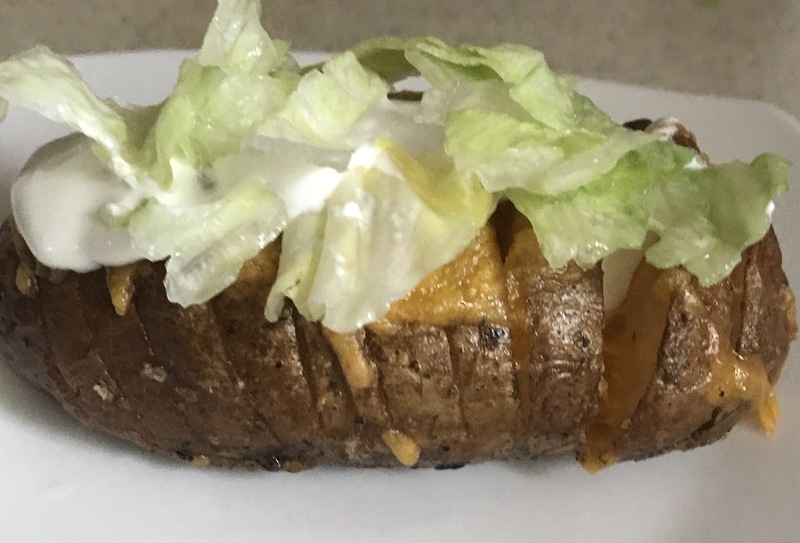 I was happy with this because it was like a crunchified baked potato! 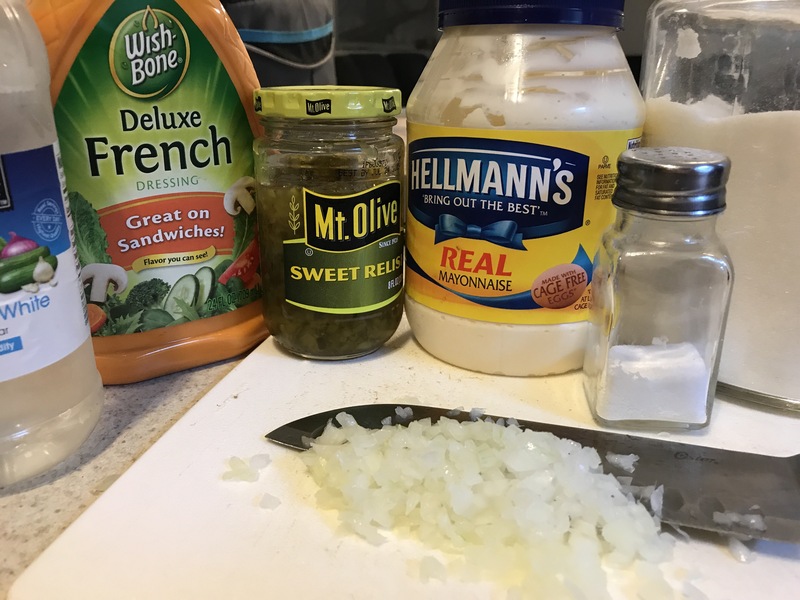 This was a great side dish to add the pork chops hubby made. I added small lettuce and tomato salad and you have a pretty well balanced meal. It did take some time and I started my prep work at 4 am ( so I wasn’t rushing at 6 pm to get it all started) but well worth the time and effort. Now I have to be honest, I thought this would be harder. Making food from scratch is always seen as the best you can provide for your family. And being a busy mom who works full time, I constantly challenge myself to do something new to liven up mealtime. There is nothing more I would love to than be home with the kids, coupon, and be a full time homemaker. But until that opportunity is available, I’ll be cooking and baking to my hearts content. The best part is you probably have all the ingredients already in your cabinet and fridge. 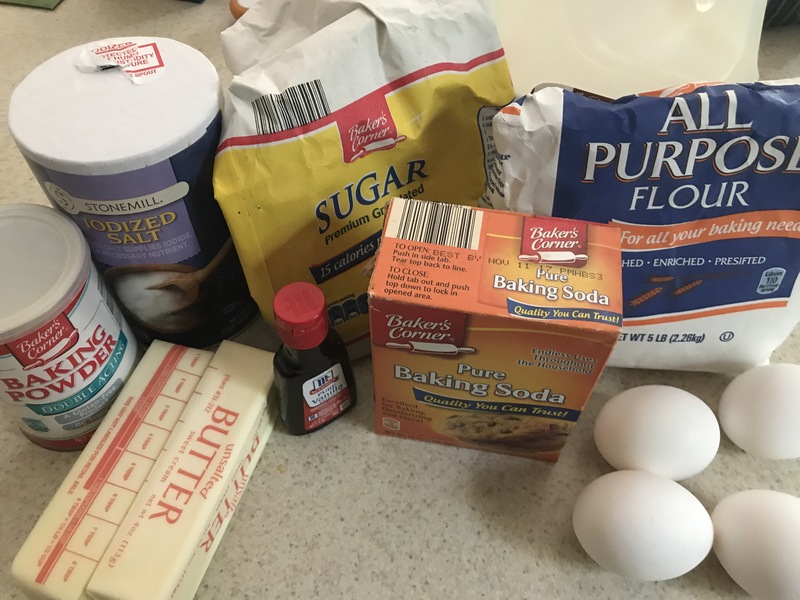 The cake recipe is made with all purpose flour so it makes it even easier and less expensive to make. 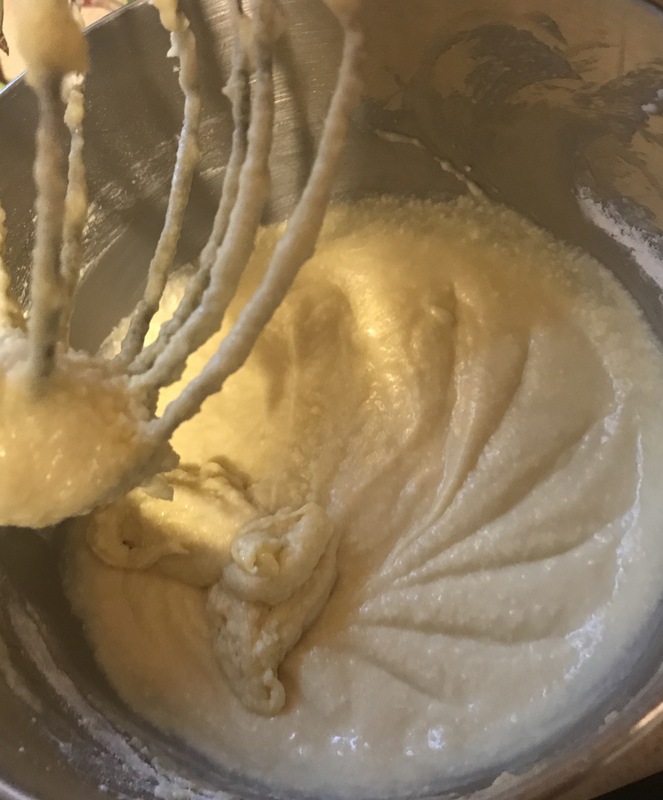 The batter itself is good on its own. 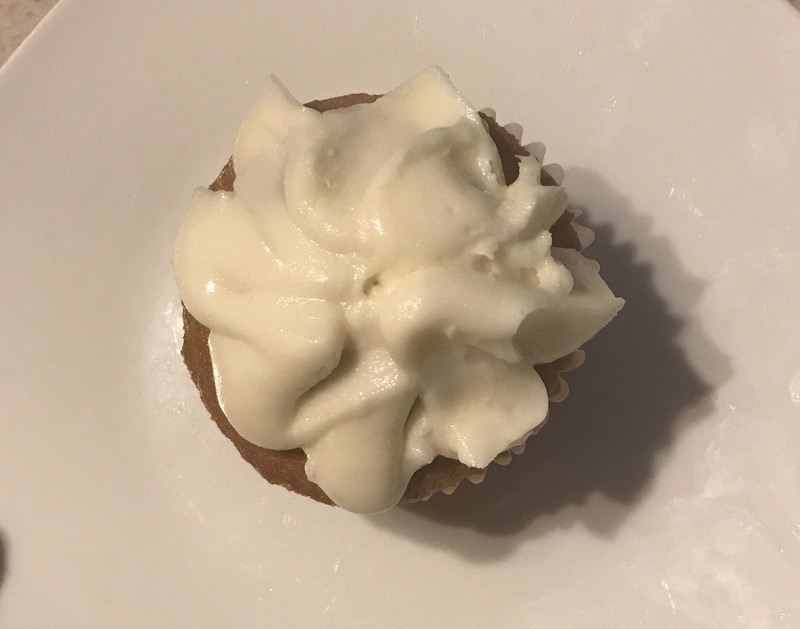 The buttercream icing can be completely optional. 1. Cream (mix) the sugar and room temperature butter. 2. 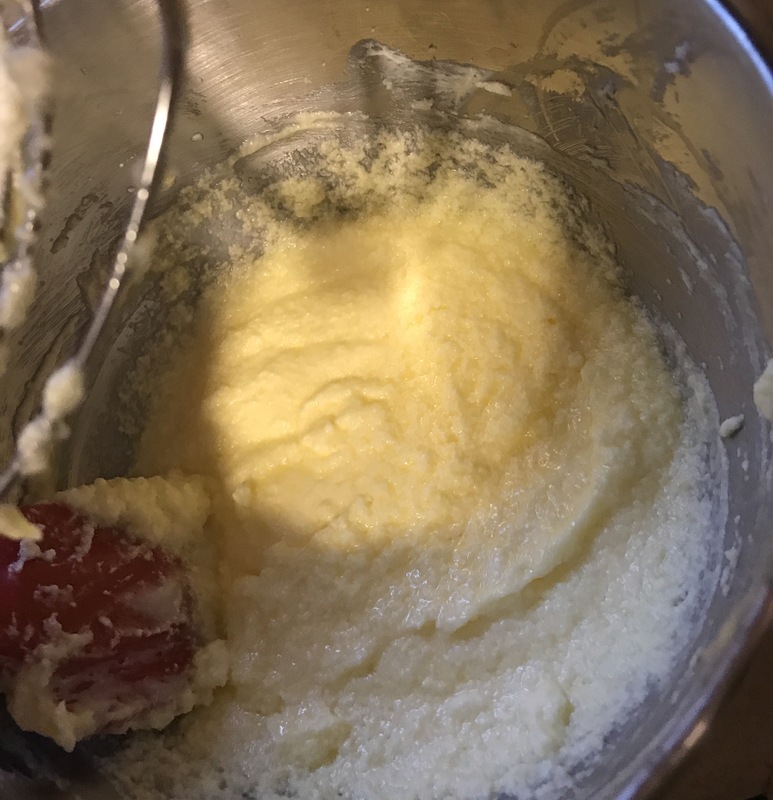 Add one egg at a time and blend until incorporated. 3. 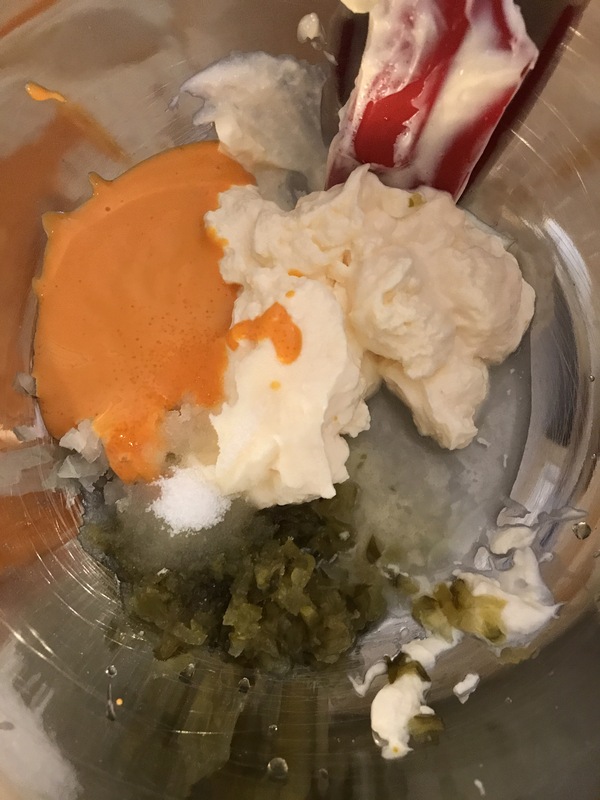 Mix all the dry ingredients together. 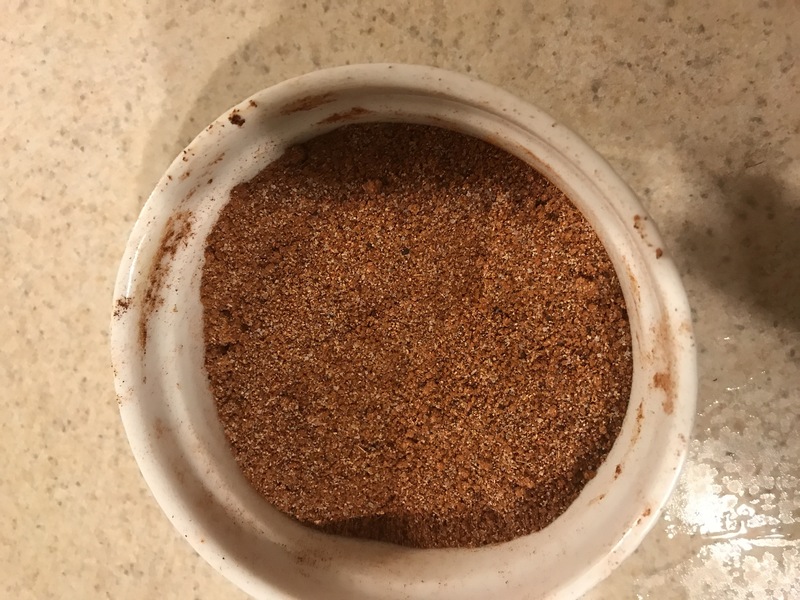 You can do this by sifting or placing in a bowl and mixing. 4. 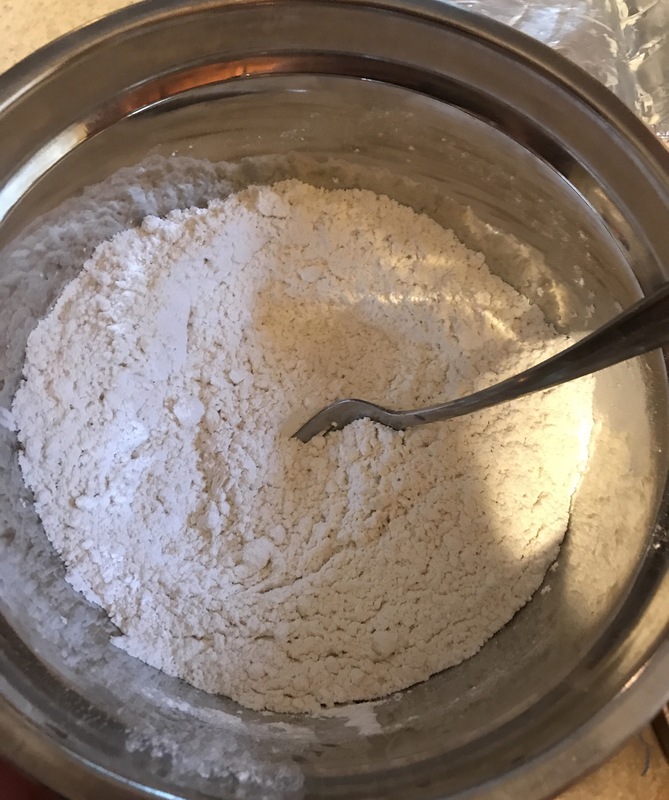 Start by adding half the flour mix and mixing into the wet mix and alternate with the half the milk. 6. Bake at 350 degrees for 25 minutes or until a toothpick comes out clean. 7. Set aside to cool. 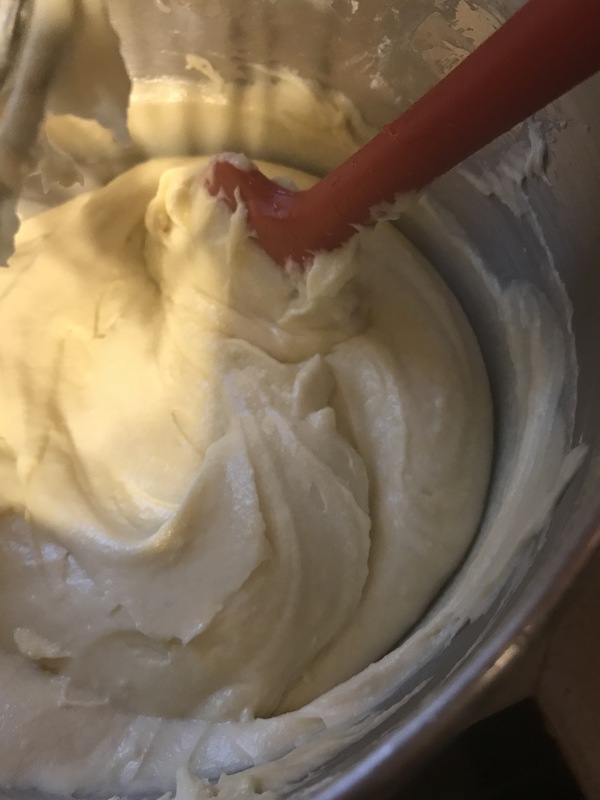 Add the Vanilla Buttercream Frosting (See recipe here) and serve ! 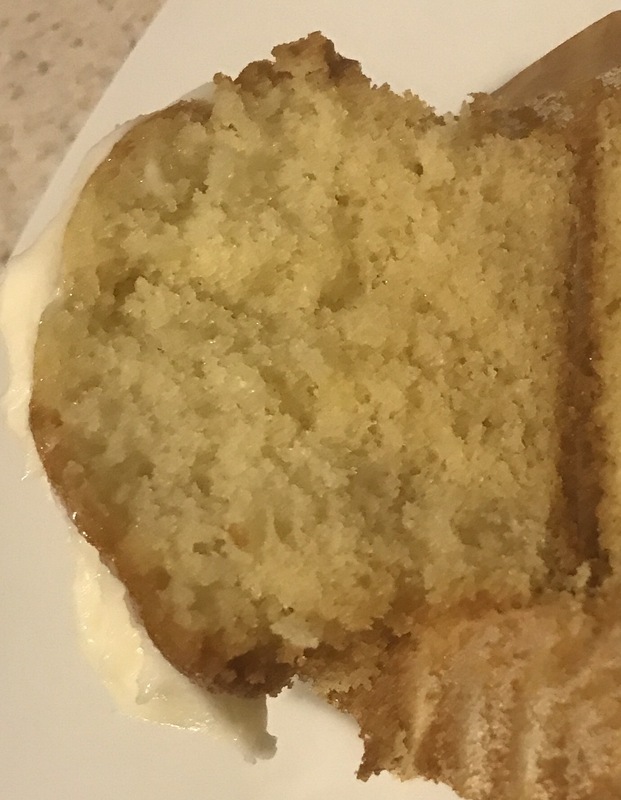 It is so moist and yummy !